This book is just gorgeous. It tells in verse the story of a little girl growing up in colonial Cape Cod, while her father goes off to sea on the China trade for a year. As the seasons pass and her father misses major events like her little brother learning to walk, she worries about him and imagines the adventures he's having on the other side of the world, eagerly anticipating the day he'll come home to his little family. The illustrations are done in pencil and watercolors, with a amazing mixture of strong colors and soft lines. hush, my family's gone to sleep. you kept him safe, oh, ocean wide." I think books written in verse can sometimes be a little cheesy, but this one is perfectly done. I think the combination of lovely, quiet illustrations and calm text makes this a perfect bedtime story for young children or a beautiful book to share with family and friends. You could use this book to talk about seasons, about traveling parents, about historic New England, or about sailing and boats. Or you could just love it for no reason other than it's a truly beautiful book. 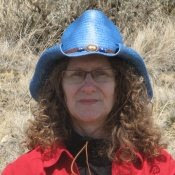 Today, I am honored to bring you an interview with author Janet Halfmann. Janet is the author of numerous children's fiction and nonfiction books. Janet was kind enough to take time out of her amazingly busy schedule to answer some of my questions about her books, her writing, and reading with kids. In the past, a lot of nonfiction was boring and dry, but now there are tons of nonfiction books like yours that engage and entertain children. Even today, some teachers and parents do not regard nonfiction as "real reading." Why do you think nonfiction is important? Janet Halfmann (JH): Well, for starters, I think it’s important because there is so much about the world that can only be shared through nonfiction. Nonfiction tells the true stories of the people, animals, events, etc., that make up the world around us. Nonfiction answers the thousands of questions that children have about who, what, when, where, and why. This type of reading helps children understand and appreciate their world. It builds up a store of information that they can draw on in their writing, conversation, and other aspects of their lives. Nonfiction is also important in helping children develop their interests, from sharks to outer space. Sometimes reluctant readers can be enticed to read by providing nonfiction books about topics they enjoy. Without nonfiction, some children won’t read at all and others will read less. Nonfiction also helps prepare children for reading in other subjects, from history to math, and for reading outside of school, where most reading is nonfiction—websites, directions for playing games, recipes, magazines. JH: Research is definitely one of my favorite parts of writing. I do a tremendous amount of research for both my fiction and nonfiction. I love learning new things and finding the telling details that make a person or animal come alive for the reader or listener. I especially enjoy finding and reading primary sources. For Seven Miles to Freedom: The Robert Smalls Story, I was lucky to find letters, speeches, interviews, and newspaper accounts of the time. When researching an animal, I love reading accounts of scientists in the field observing the creature firsthand. Another favorite part of writing is doing the fine-tuning once I’ve got the story fleshed out. I love finding just the right rhythm for a sentence or just the right word. In writing Little Skink’s Tail, one of my favorite parts was thinking of the fun things Little Skink would say about each tail, such as too puffy-fluffy or too stickly prickly, and I find that readers and listeners love and repeat those words. Do you prefer to write fiction or nonfiction? JH: I think I like both equally well. I like the freedom that comes with writing fiction—being able to conjure things up in my imagination, and not having to check and double-check the facts, or dig and dig to figure out what the facts really are. But I like the concreteness of nonfiction—to have a story that is already there but just needs to be researched and shaped by me. Even my fiction tends to have a nonfiction component. For example, in Little Skink’s Tail, the little lizard’s daydreaming about other animal tails is fiction, but the skink’s habitat, the animals’ uses of their tails, the predator-prey relationships, etc., are all scientifically accurate. On the other hand, some reviewers have said my recent nonfiction picture book, Seven Miles to Freedom: The Robert Smalls Story, which adheres carefully to the facts, reads with all the suspense of fiction. JH: I like everything about it. I can’t imagine doing anything else. I especially like the feeling of a sense of wonder that I get in writing for children. I love the experience of making a person or animal come to life on the page. What do you like the least about writing for children? JH: Sometimes it’s difficult to give up a word that seems just right but is not appropriate for the age of the child for whom I’m writing. I also do not like the business side of writing nearly as much as the writing itself. Parents often ask how they can turn their reluctant readers into lifelong readers. Do you have any tips? 1. Read to your child from the time he/she is very young, and make it an enjoyable time. Make reading a daily routine, such as at bedtime. Reading is a wonderful way to bond with a child and creates memories that last a lifetime. My grown children still treasure their favorite childhood books! 2. Have lots of books, magazines, newspapers, and other reading material available. Have a special place for the child to keep his/her own books. 3. Go to the library often and let your child pick out the books he/she wants. Also help your child find books related to his/her interests or activities, and books of an appropriate reading level. 4. Attend story times at the library and other places. 5. Include your child in your everyday reading—recipes while cooking, road signs, etc. 6. Take books along when you travel and for whenever you have to wait. 7. Read yourself. Kids will do what you do. 8. Have paper, pencils, and crayons on hand to give your child opportunities to write and draw. 9. Talk to your child and listen to what he/she has to say. 10. And above all, always make reading enjoyable. Never use reading as a punishment. Those are some wonderful tips! What were some of your favorite books and/or authors growing up? JH: I grew up in a home with very few books, and the only library was a very tiny one in our school. It had mostly books about saints—and I think I read them all. My favorite book of all was a story collection that my parents used in school—my favorite story was Rumpelstiltskin. What were your children's favorite books when they were growing up? JH: When my kids were young, we read every day, went to the library at least once a week, and always had lots of books in the house. All of my children are avid readers today. Some of their favorite childhood books are: Where the Wild Things Are, Harry the Dirty Dog, Curious George, Flat Stanley, Harold and the Purple Crayon, Horton Hatches an Egg, The Lorax, The Story of Ferdinand, the Beatrix Potter books, Harriet the Spy, and The Chronicles of Narnia. Do you read with your grandchildren? If so, what are some of their favorite books? JH: Of course, my grandchildren love Little Skink’s Tail and other books by Grandma. My five-year-old grandson especially likes books about sharks. He also likes There Is a Bird on Your Head, Five Little Monkeys Sitting in a Tree, and Pinocchio. My two-year-old grandson practically inhales books. We read stacks again and again every time he visits. Some favorites are Five Little Monkeys Sitting in a Tree, The Hungry Caterpillar, Purrrrr, Peekaboo Blueberry and other books with flaps, Five Little Stars and other books with music or sounds. JH: My eighth and ninth nonfiction picture books will release soon from Soundprints, which publishes nature books in association with the Smithsonian Institution. Narwhal: Unicorn of the Sea is about the adventures of a narwhal, an Arctic whale that has a nine-foot-long tooth. Little Black Ant on Park Street features the life of the typical picnic ant. Plush animals and audio also are available with these books, and everything has to be approved by curators at the Smithsonian Institution. Good Night, Little Sea Otter, a bedtime fiction picture book, will release this fall from Star Bright Books. 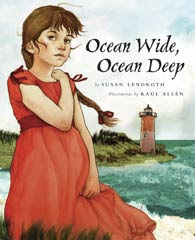 Star of the Sea, a nonfiction picture book, will come out in 2010 from Henry Holt. I got to see the animals featured in both of these books during a recent visit to Monterey Bay Aquarium in California. Was I excited! I also have two books coming out from Orchard House Press that my daughter is illustrating. She didn’t plan to illustrate books, but decided to submit a sample drawing after Orchard House Press contracted two of my books and was looking for illustrators. The publisher loved her work and now my daughter is hard at work drawing nights and weekends and feeling quite nervous about the whole thing. The first title she is illustrating is Bewitching the Chickadees, a picture book about a young girl, her grandma, a special bird feeder, and chickadees. The second book, Sunflower Princess, is a chapter book for ages 7-9. Release dates have not yet been set. Wow! You've been busy, and I think it's great that your daughter is illustrating two of your books. Thank you so much, Janet, for taking the time to answer the questions, and I look forward to reading your books when they come out! Read more about Janet and her books on her JacketFlap page. Little Skink is enjoying a delicious meal of ants when a hungry crow wants to make a meal of Little Skink. Trapped with nowhere to run, Little Skink uses her special trick: her tail falls off when the crow grabs it, and Little Skink gets away. Now with no tail, Little Skink imagines what she'd look like with the tails of different forest animals, but none are quite right. The rabbit's tail is too "puffy-fluffy," and the porcupine's tail is too "stickly-prickly." Then one day she sees her shadow, and the shadow has a tail--the kind of tail that only a skink should have. Little Skink's Tail has a simple, yet informative and fun storyline. Kids will enjoy watching Little Skink try on different tails and will laugh at Laurie Allen Klein's vibrant watercolor illustrations. This is just the type of book that would make an excellent supplemental text for a classroom lesson on forest animals and regeneration. The back matter includes Sylvan Dell's signature "For Creative Minds" section, which in this case, comprises a footprint map and a tail matching activity that can be copied and printed. Highly recommended! Come back tomorrow for an interview with author Janet Halfmann! Jack has a new toy. It's full of surprises each time he opens it. Instead of a Jack in the box it's a Zack in the box. Always unpredictable Zack is a very silly toy and says so himself. In a nod to Dr. Seuss and the Cat in the Hat Comes Back, Zack also has many friends who pop out of his hat and cause mayhem for Jack. This is a beginning reader comic with limited vocabulary and lots of repetition in the text to help new readers succeed. This is one of several beginning reader comics published by Toon Books for kids. The pictures and text together tell a whole story encouraging kids to read simple words while adding another layer to the story with the art. The art is clean and simple just enough to convey the action and emotions of the two main characters, Jack and his toy Zack. This book is for Kindergarten through 2nd grade, but Art Spiegelman fans and older teens will appreciate the humor. Zack is a silly toy in the story, but he's also a little scary as shown through Jack's reactions in the drawings. There is just a touch of malice underneath all the silliness. Older teens will get the irony of parents giving a toy that is somewhat scary all the while being completely oblivious. This makes the book a little more sophisticated than many beginning readers. That being said it wasn't too scary for my young sons who like to read it over and over while laughing. I'm happy to be kicking off the Bubble Homes and Fish Farts blog tour with an interview with author Fiona Bayrock. Fiona is the author of children's quirky science books, including Bubble Homes and Fish Farts, a book about how animals use bubbles. I reviewed this book a couple of weeks ago, and it's become a fast favorite in my home. Fiona took time out of her super-busy writing schedule to answer a few questions about the book, her writing, and reading with kids. In the past, a lot of nonfiction was boring and dry, but now there are tons of nonfiction books like yours that engage and entertain children. Even today, some teachers and parents do not regard nonfiction as "real reading." It makes me shudder when I continue to read about teachers "banning" nonfiction in their classrooms. Why do you think nonfiction is important? Fiona Bayrock (FB): Nonfiction is important to me, personally, because it brings the wonder and awe of the world to me. I love finding new connections, feeling the patterns and rhythms, figuring things out, and having the light bulb click. There are kids who feel that way, too. Some kids are passionate about reading biography or science in the same way that others are passionate about mystery or fantasy. Some kids go through a phase where they're obsessed with a certain subject and if given the choice would read exclusively nonfiction books and articles about it for months. I think effective teachers know this, and understand what a powerful motivator passion can be for new readers, and the role it can play in the learning process. By offering their students a full range of reading choices—fiction and nonfiction—these teachers are creating classroom environments that help kids learn faster and easier because they're allowed to read what they love. Having said all that, I do think nonfiction still intimidates a lot of adults. Perhaps they're remembering the yawn-inducing nonfiction of their youth. To them, I say, "Things have changed! Get thee to a children's bookstore and immerse yourself in the amazing children's nonfiction that's available today. There's a lot to get excited about." Where did you come up with the title of the book? Were there any other titles you considered? FB: The title came early, before most of the book was written. I wanted something that would get readers itching to open the covers, so I chose what I thought were the coolest, most interesting examples of animal bubbles: the spider that lives in a bubble trapped under its underwater web (a "bubble home"), and the "fish farts", which makes everyone giggle, but is actually a terrific science story. Once I had typed "Bubble Homes and Fish Farts" at the top of the manuscript, it didn't change. At one point my editor and I considered making the first two words alliterative to match Fish Farts, but nothing seemed to fit, so "Bubble Homes and Fish Farts" it stayed. I think the title begs kids to pull it off the shelf and read it! Of all of the animals and insects in your book, do you have a particular favorite? FB: I tried really hard to have a favourite so I could answer this question, but I just couldn't choose! Each animal in the book has a quirky wonderfulness to which I am endeared. Perhaps using bubbles as the connecting thread had something to do with that—the unusual nature of bubbles, the interesting ways bubbles and water interact, and the relationship of water and air to life, all playing a role—but for each animal in the book, there was something that made me shake my head and say, "That is SO cool. This animal *has* to be in the book." 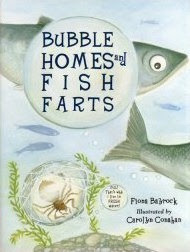 In fact, Bubble Homes and Fish Farts began as a 32-page picture book, but we couldn't squeeze everything in. Rather than cut any animals—we tried, we tried!—the publisher increased the book to 48 pages to make room for them all. I'm glad your publisher did that because I can't imagine having to choose which animals to cut out. How long did it take you to write the book? FB: From start to finish it was over eighteen months, but that includes a lot of stopping and starting while I worked on other projects or waited for scientists to come in from the field. The research was the time-consuming part. Each of the animals is so different, it was like researching 16 different books. I ended up with one whopper of a bibliography! What did you think when you first saw Carolyn Conahan's illustrations? FB: I was so excited I could hardly contain myself. I loved Carolyn's art the first time I set eyes on her rough pencil sketches, and then when those gorgeous watercolours came in as the final art, well, I was over the moon, to say the least. She achieved the perfect balance of science and whimsy, and captured the heart of my words better than anything I had ever imagined. The text and art are a beautiful match. A happier author you will not find. As a picture book author, it's really hard to let go of your baby. You have to trust that the illustrator, art director and the rest of the creative team will put their hearts into their part of the book in the same way you did yours. You hope they get what it is you're trying to accomplish. When that happens, a book like Bubble Homes and Fish Farts is the result. FB: Getting the first draft down is probably the hardest part of the process for me, but honestly, I thoroughly enjoy every step of the way—having a new idea sprout in my head; sniffing out information and going clue to clue like a detective; putting it all together like a big puzzle; experiencing the epiphanies and creative surges that come only when you're fingers-to-keyboard, playing with words during the revision process, and finding creative solutions during editing. Being a writer is a great fit for me. Reading aloud to him, lots and often. We immersed ourselves as a family in the joy of well-crafted stories, memorable characters, and rich language. We always had a readaloud book on the go. Reading out loud together unanimously beat out television in our house for several years. Finding reading material he was interested in and then he and I taking turns reading it out loud, a little each day. In our case, that meant alternating pages in the Magic Treehouse Books. His turn gave him practice; my turn kept the story from bogging down and rewarded his hard work with a break and a leap in the story. It was an activity we enjoyed together. For many months, he stopped mid-sentence wherever his page ended, and then one day, he was so engrossed in the story, he turned the page and kept going. A mother's heart went pit-a-pat. What were some of your favorite books and/or authors growing up? FB: Oh so many! Let's see... May I Bring a Friend, Amelia Bedelia, Cat in the Hat, Where the Wild Things Are, Charlotte's Web, The Wizard of Oz, Anne of Green Gables, Nancy Drew, and a luscious volume of Robert Louis Stevenson's A Child's Garden of Verse, to name a few. I was a voracious reader. What are your children's favorite books? FB: When they were little: A Million Chameleons, Where the Wild Things Are, Alexander and the Terrible No good Very Bad Day, Winnie the Witch, Chicka Chicka Boom Boom, Effie the Ant, Cricket in Times Square, Alice's Adventures in Wonderland, all of the Oz books, and the list goes on. As teens now, they're into graphic novels and books by authors such as M.T. Anderson, Garth Nix, and Orson Scott Card. FB: More cool science books about animals. I have several projects in the works. Thanks for hosting this stop on my blog tour, Jill! It was my pleasure, Fiona! Thank you for the opportunity and best of luck with all of your other projects. Check out the other stops on the blog tour this week! Write a blog post containing your list and submit it to this post at Callapidder Days. Get reading! The challenge goes from today, March 20th, through June 20th. Okay, I'm officially joining. This spring is going to be super busy at work, but I always am able to wind down with books. Here are the books I'd like to read this Spring. This is a mix of books from my bookshelf that I need to review and also books that I've checked out from the library. My list will probably change as I discover new books, but this is what I'm starting with. Do you have books you want to read this spring? 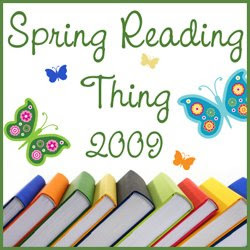 Join the Spring Reading Thing! Despite economic downturn, generous publishers have donated thousands of young-adult books for readergirlz, Guys Lit Wire, and YALSA to deliver to teens in America’s top pediatric hospitals. March 17, 2009 (Seattle, Wash.) – Teen patients in pediatric hospitals across the United States will receive 8,000 young-adult novels, audiobooks, and graphic novels next week as readergirlz, Guys Lit Wire, and the Young Adult Library Services Association (YALSA) celebrate the third annual Support Teen Lit Day on April 16. In its second year, “Operation TBD” (short for Teen Book Drop), puts free books donated by 18 book publishers into the hands of many teens most in need of escape, inspiration and a sense of personal accomplishment. Books with exceptional characters and fabulous stories can provide just that for teens and their families dealing with difficult, long-term hospital stays. Operation TBD also aims to encourage all teens to choose reading for pleasure as a leisure activity, over other entertainment options. Inciting the broader teen community to participate in Operation TBD in its drive to spur reading on a national scale, readergirlz has launched a trailer on YouTube (http://www.youtube.com/readergirlz) inviting teens and YA authors to leave a book in a public place on April 16. When visiting www.readergirlz.com, participants can download bookplates to insert into the books they’ll leave behind, which explain the surprise to the recipient and tell them to read and enjoy. Participating book publishers who have donated books or audiobooks include Abrams Books, Bloomsbury/Walker Books, Candlewick Press, Full Cast Audio, Hachette Book Group, Houghton Mifflin Harcourt, Hyperion, Milkweed, Mirrorstone Books, Orca Book Publishers, Peachtree Books, Perseus Book Group/Running Press, Random House, Scholastic, Simon & Schuster Children's Publishing, Soft Skull Press & Red Rattle Books, TOKYOPOP and Tor/Forge/Starscape/Tor Teen. Pediatric hospitals that have signed up to receive books include Phoenix Children's Hospital (Phoenix, Ariz.), Rady's Children's Hospital (San Diego, Calif.), Children’s Hospital Los Angeles, Children's Hospital and Research Center (Oakland, Calif.), All Children's Hospital (St. Petersburg, FL), Children's Memorial Hospital (Chicago, Ill.), UM C.S. Mott Children's Hospital (Ann Arbor, Mich.), Children's Mercy Hospitals and Clinics (Kansas City, MO), The Children's Hospital of Philadelphia, Children's Medical Center in Dallas, Mary Bridge Children's Hospital & Health Center (Tacoma, Wash.) and Seattle Children's Hospital. Everyone who participates in Operation TBD is invited to celebrate at the TBD Post-Op Party on April 16 at 6 p.m. Pacific Time on the readergirlz blog: http://readergirlz.blogspot.com. For the third consecutive year, Support Teen Literature Day will be celebrated April 16, 2009 in conjunction with ALA’s National Library Week. Librarians all across the country are encouraged to participate in Support Teen Literature Day by hosting events in their library. The purpose of this new celebration is to raise awareness among the general public that young adult literature is a vibrant, growing genre with much to offer today’s teens. Support Teen Literature Day also seeks to showcase award-winning authors and books in the genre as well as highlight librarians’ expertise in connecting teens with books and other reading materials. For more than 50 years, YALSA has been the world leader in selecting books, videos, and audiobooks for teens. For more information about YALSA or for lists of recommended reading, viewing and listening, visit www.ala.org/yalsa/booklists or contact the YALSA office by phone, 800-545-2433, ext. 4390, or email, yalsa@ala.org. readergirlz is the foremost online book community for teen girls, led by five critically acclaimed YA authors—Dia Calhoun (Avielle of Rhia), Holly Cupala (A Light That Never Goes Out) Lorie Ann Grover (Hold Me Tight), Justina Chen Headley (North of Beautiful), and Melissa Walker (the Violet series). readergirlz is the recipient of a 2007 James Patterson PageTurner Award. To promote teen literacy and leadership in girls, readergirlz features a different YA novel and corresponding community service project every month. For more information about readergirlz, please visit www.readergirlz.com and http://readergirlz.blogspot.com, or contact divas@readergirlz.com. Guys Lit Wire brings literary news and reviews to the attention of teenage boys and the people who care about them. Working to combat the perception that teen boys aren’t as well read as teen girls, the organization seeks out literature uniquely targeted toward teen male readers in hopes of bringing attention of good books to guys who might have missed them. Last month, I reviewed Laurie Halse Anderson's new book, Wintergirls , the story of a girl suffering from anorexia. In my review, I said, "Laurie Halse Anderson's writing is intense, beautiful, and chilling all at the same time.... I also think it's the type of book that could potentially save lives." Today is the book's official publication day, and you can now buy it or check it out from your library. 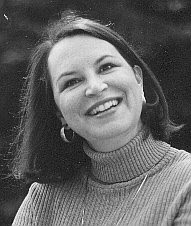 Linda Aksomitis is the author of fiction and nonfiction adult books, crossover books, and children's books. Her newest book, Longhorns and Outlaws follows twelve-year old Lucas who is on a cattle drive in the Old West. Lucas's story is filled with adventure and challenges as he tries to make a living as a cowboy after the tragic death of his parents. As part of her virtual tour for the book, Linda answered a few questions about the book, her writing, and reading with kids. Longhorns and Outlaws is set in the Old West, and as I was reading it, I felt as if I was being transported back to that time period. What kind of research did you have to conduct in order to so effectively tell Lucas's story? In many ways, I think I've been researching this book since I was born! Certainly, my experiences riding horses as a child/teen had a big impact on how I was able to tell Lucas's story. Also, since the farm I lived on up until my second year of school had no power, or running water or sewer, or even much of a road, I always draw from those early experiences for my historical fiction. Then of course, there were the many trips through Montana and Saskatchewan's Big Muddy to get a feel for the country, visit museums, and talk to people, that really helped me enrich the story with details. I also did a lot of "paper" research, reading a lot of first person memoirs, newspapers of the time, and historical information. In the end, when I had questions that were tough to answer or facts to check, I went to the ranchers and cowboys I know for answers. The story begins after Lucas tragically loses his parents, and he sets out on a great adventure. Throughout the history of children's literature, some of the most popular, beloved, and memorable characters are orphans. What do you think is so appealing about these characters? Interesting question! As a writer, I wanted an historical story today's kids could relate to, which is why I chose the aftermath of the 1900 Galveston Hurricane, which took more lives than Hurricane Katrina. I hoped young readers would be able to parallel Lucas's experiences to those of modern young people who lost their homes and families in that catastrophic event. For young readers, I think stories about orphans have a strong appeal because the reader knows there aren't going to be any parents show up to provide a solution or bail out the main character. Instead, the main character is going to have to cope on his own, something readers this age are striving to learn how to do. A story has to live in my head for a long time before I even start to make the initial outline, so the ideas for Longhorns were decades old. I loved staying up watching old westerns with my dad as a child, and always knew I'd like to jump back in time and adventure there myself as a writer. In physical time, I worked on it for three years. The first draft was one during which I focused on recalling all those "horsey" experiences that were thirty-some odds years behind in my past. The second draft was after a couple of intensive research trips through Montana and the Big Muddy, so it focused on geography and nature. That was the draft my publisher, Coteau Books, accepted. So, the third draft ran with some ideas from the children's editor at Coteau, Barbara Sapergia, and thanks to the ever-increasing wealth of knowledge and historical archives of newspaper on the Internet, was where I worked in all of Lucas's backstory about Nederland and the 1900 Galveston Hurricane. My fourth edit was the final one, with Laura Peetoom. This was where I discovered Ebenezer, Chief Joseph's appaloosa (the horse had always been an appaloosa, but was originally a mare named Full Moon), and made Eb come more to life, and was also the point where I really focused on language, strengthened the cowboy lingo, and created the glossary. I love the research for my writing, particularly the travel I do, since I'm a setting driven writer (as opposed to character or plot). And, as a librarian, I'm an enthusiastic researcher in other areas, so I always make it a priority to find out the tiny details that will help a reader feel like he or she has really spent some time in the past. With the writing itself, I enjoy the editing and enriching the story with each subsequent draft. Sometimes it's hard to stop editing! You've written both fiction and nonfiction. Do you prefer one genre over the other? My lifelong dream has always been to be a fiction writer. Somewhere along the way I realized that nonfiction writing was not only interesting and challenging too, but could also be used to springboard into my fiction. Currently, I have two focuses with my writing career, children's fiction and travel writing. Parents often ask how they can help turn their reluctant readers into lifelong readers. As both a mother and teacher, do you have any suggestions? I have three sons, two of whom loved books and have read voraciously all along. The middle one, however, was not so fond of reading by himself, which I found frustrating as a parent and his school librarian. I tried all the usual reluctant reader ideas to get him hooked on books, only to discover, quite by accident, that the reason he didn't read was that what I'd been recommending didn't have enough layers of meaning to really engage him. One day when I was reading The Ghost of Thomas Kemp (by Penelope Lively) and couldn't keep from laughing out loud, he picked up the book when I set it down to make supper. From there he devoured all of the British YA fiction I could find (he was in fifth grade), and never looked back. My advice, as a parent, teacher, and librarian, is to show young readers by example that books are fun and that there really is a book for every reluctant reader. When he finds the right one, he'll let you know! What were some of the books you read with your sons when they were growing up? I've been exceedingly lucky in my reading, as those two sons with unlimited appetites for reading have led me through some exceptionally interesting books in pretty well every genre, although fantasy, science fiction, and techno thrillers are the most popular for all of us. Some of our early favorites have been Anne McCaffrey, the Chronicles of Narnia, the Wizard of Oz, and many, many more! That middle son has led me down a different path -- his first "love" was Professor Wormbog in Search for the Zipperump-a-Zoo by Mercer Mayer, which he brought home every second library day for a year or two, since he had to return it on the opposite library days. Do you get the opportunity to read with your grandson, and if so, what are some of your favorite books to read together? Yes, I've been very lucky to have my grandson for Friday night sleepovers since he was born, so we've shared a lot of books over the years. One of his first favorites was by a friend of mine, Dianne Young -- The Abeleda Voluntary Firehouse Band. When his parents had read it to him for the thousandth time (his dad was my middle son) they brought the book to stay at Grandma's house, where we read it over and over and over again on Friday nights. He's also reading Narnia these days, along with my collection of Artemis Fowl books. Can you give us a sneak peek into the sequel to Longhorns and Outlaws? Just by looking at the title, Kidnapped by Outlaws, it looks like it will be exciting! Of course you'll have guessed someone gets kidnapped and that someone is Lucas! In Kidnapped by Outlaws, Lucas ends up in the outlaw hideout handcuffed to a young would-be outlaw trying to get accepted by the gang. The story is about the need for friendship and belonging, and deciding how far we'll go to achieve those needs. In addition to Kidnapped by Outlaws, what other projects are you working on? My next big project is another historical novel, this time for a little older readers. My husband and I are going to Hungary for a week to do some background research for the main characters -- my dad is Hungarian, so I want to explore my Hungarian roots a little more in depth. That sounds like a wonderful trip! Best of luck, and thank you so much for taking the time to talk to us! Thanks Jill! It's been marvelous working with you on the Virtual Tour for Longhorns and Outlaws. Yesterday, the week-long Share a Story - Shape a Future Blog Tour kicked off. Terry Doherty at Scrub-a-Dub-Tub hosted the day's roundup with the theme of raising readers. There were so many informative and useful articles from a lot of fabulous bloggers out there, so be sure to check out the posts and add your own ideas and feedback in the comments section of those posts. Today, Sarah Mulhern at The Reading Zone is hosting with the theme of selecting reading material, and the schedule looks amazing. Be sure to stop by Share a Story - Shape a Future for the entire schedule and for all of the roundups. What if your mailman stopped by to reveal that he is your favorite super hero, that he is retiring to Florida and wants to give you his super suit with all his powers? Well that is exactly what happens to twins Mona and Joey. Unfortunately Mo and Jo fight about everything and they tear the mighty Mojo's costume in half. But mom comes to the rescue and sews two new suits out of one. Mo's suit has stretchy arms and Jo's suit has magnetic boots. But will the dynamic duo be able to combine their powers and fight mighty Mojo's arch enemy Saw Jaw and save the city parade or will they be stuck fighting each other? Yes they can, in the end just like the title, Mo and Jo fighting together save the day as team MoJo. Yeah! The colors in the panels are high contrast and really make the art and action pop in the story. Mo and Jo's costumes are red and green tones and the evil green lizard Saw Jaw wears a fuschia costume. There is a block like quality to the illustrations giving them a very retro feeling. This combined with the bright colors and the goofiness of the dialog make the comic appealing and perfect for young readers. The fighting is fun to read and adds to the fast paced action of the story. Mo and Jo's witty barbs drive the dialog and are reminiscent of the repartee between foes in comics. The text bubbles will also help kids know who is talking in the comic. There is a lot going on in this comic with the fast back-and-forth dialog and the action in the art work. For some readers it may present a challenge but this is a book kids will pick up again.